After winning the city championship last year, expectations were higher than they have ever been for the Northside poms team heading into this season. On Sunday, Jan. 14, the time came for the team to prove if they could rise to the occasion at the city championship held at Whitney M. Young Magnet School. Poms teams are broken down into three divisions: small (12 or fewer members), large (13 or more members), and hip-hop. 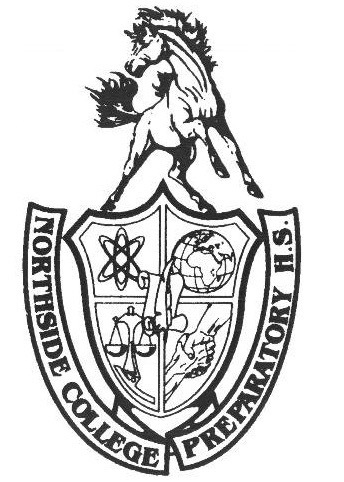 Because Northside is in the small division, the team was slated for an early 9:15 floor time. Although most high school students would still be in bed at this time on a Sunday morning, the poms members were wide awake and focused, as the excitement could be felt both in the brisk, outside air and the heated gym. Before the team took the floor, Coach Mark Thompson, Math Department, told everyone to take a deep breath. Captains Eva Empleo, Adv. 810, Annah Rah, Adv. 801, and Sahithi Gangavarapu, Adv. 907, also offered up words of encouragement. Empleo told her teammates to leave everything they had on the dance floor, Rah said that the competition was not about beating any one team in particular, but giving the best performance that they could, and Gangavarapu encouraged everyone to keep up the energy for the entire routine. Everyone took their place and waited patientally. Then, Aqua’s “Barbie Girl” began to blare through the speaker and the team, wearing the appropriate attire (with the girls dressing like Barbie, and Jayson Coy, Adv. 905, the lone boy, dressing like Ken) to match their song, started their most important routine. After Gangavarapu came flying through the front with an aerial, the choreographed dance really came to fruition. Students who have seen the team perform at basketball games or at the pep rally know how good the dance looks, but at this competition, the team had it down perfectly, and it was as if the hours of practice could be seen in each movement by every member. After multiple seamless rotations, the music cut, and on cue, the team collapsed in unison to the ground. Then, there was a brief silence, which was followed by a roar of applause from the crowd, specifically the Northside section. It was only two minutes and four seconds, but for that span, the team captivated the attention of everyone in the audience. Now, all that was left to do was wait. Following its performance, the poms team had to wait for the rest of the small division to conclude, as well as the entirety of the large and hip-hop divisions. Around three hours later, it was time for the judges to announce the winners. All of the poms competitors rushed onto the court at the same time to pick a spot for their team to sit in a circle. However, instead of announcing winners right away, there was a brief, 10-minute intermission for a DJ to play music, possibly to cheer everyone else up in an attempt to dissuade ill-thoughts of those who would not win. As for the rest of the competition, Walter Payton placed first for the large division and Whitney Young won the hip-hop division. A special congratulations goes out to every member of the team, and specifically the seniors, Empleo, Rah, Lydia Williams, Adv. 808, Lauren Fujishima, Adv. 801, Rainee Wilson, Adv. 810, and Natasha Lubar, Adv. 809. If anyone is looking for a roadtrip, the team has its state competition on Feb. 10, in Springfield.